Alec Commander Pro software offers you a commanding view of all the lights in your premises and their ON/OFF status, neatly captured on your building layout map. You can also monitor the lights’ current settings, brightness level, power consumption and more with a single click of the mouse. 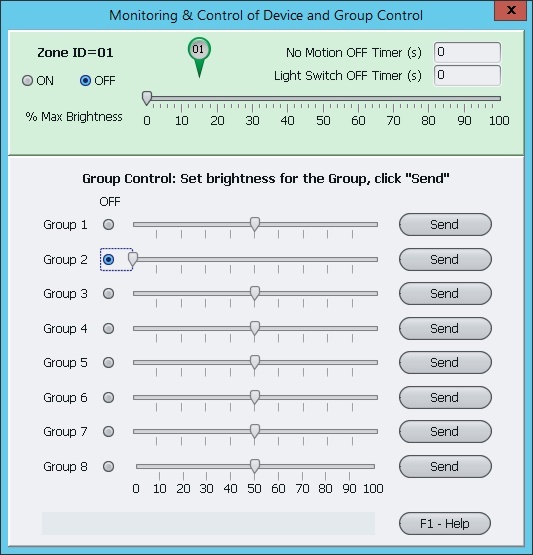 Control, monitor or re-program any ZC001’s schedule at any time, or adjust the brightness and ON/OFF status of a large group of lights all at once via a single-click group control function. The group control function has building security applications as well: you could turn on ALL lights on your premises simultaneously with a single click if a would-be intruder is sensed – enabling better image capture by security cameras and scaring off the intruder in the process. Alec Commander Pro displays each Gateway as a tab in its Device Manager window, allowing you to manage as many as 100 gateways in a single instance. With each gateway supporting up to 128 ZC001, Alec Commander Pro can easily manage thousands of lights from a single screen. Multiple instances of Alec Commander Pro software can be run in parallel, giving you unlimited capability to manage all the lights from a single computer even for an extremely large campus or multiple building complexes. The power meter and data logger built into every Alec ZC001 enables it to record the energy consumption of the lights that it controls every 15 minutes, for up to 1 year. These data provide both the resolution and the duration you need to really understand and track any energy waste. The ZC001 also records the energy meter reading on a daily basis, allowing you to easily calculate the energy consumed in any period of time. 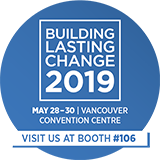 Daily meter readings can be logged for up to 20 years from the date of installation, giving management unparalleled ability to audit energy savings and provide detailed documentation, for regulatory or other purposes. All these data are kept inside the ZC001’s non-volatile memory and can be retrieved at any time for detailed study. 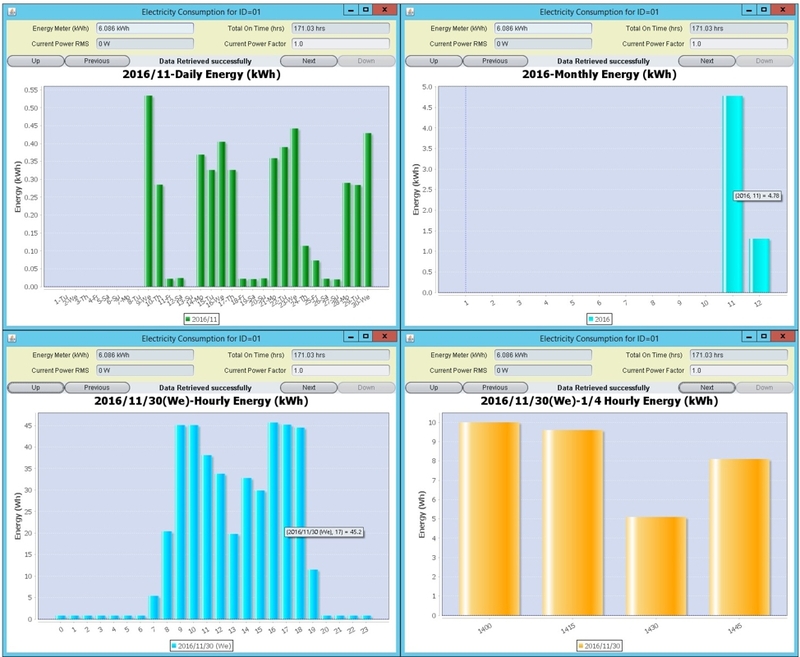 Indeed, the Commander Pro software enables you to view energy consumed by any ZC001 in hourly, daily, monthly and yearly energy consumption charts (see right) for easy visual analysis.